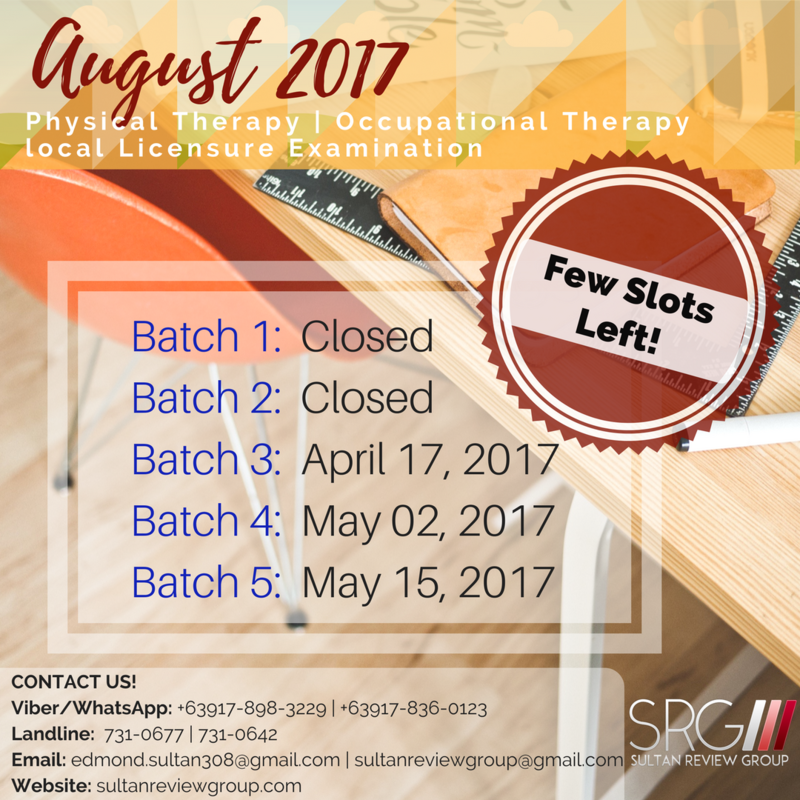 Few Slots left for the Classroom Review for Aug 2017 PT-OT Licensure Exam! for the Aug 2017 PT-OT board exam review with the ORIGINAL and the BEST, Sultan Review Group! Previous Entry:Season 2 Batch 2 for Classroom Webinar for the Aug 2017 PT-OT Board exam! Next Entry:Congratulations to all our April 2017 NPTAE passers!